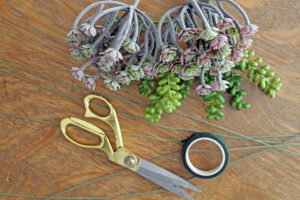 Earlier this week I shared the details of the Crafternoon I hosted last week…click here and here if you haven’t read those posts. 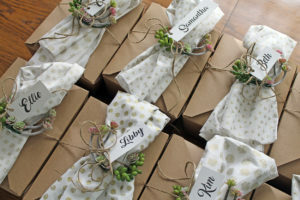 After creating terrariums, the guests enjoyed summer style boxed lunches. 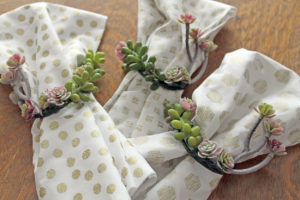 With the theme of the day being succulent plants, I thought it might be fun to somehow incorporate succulents into the boxed lunches, and I did just that by creating these succulent napkin rings that I attached to the top of the boxes. 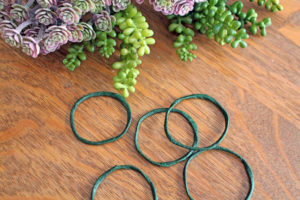 Today I’m sharing the DIY on making these napkin rings…and you don’t need to use succulents, really any flower or small decorative item would work. 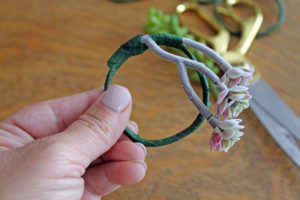 First, you take the floral wire and bend it into a circle, wrapping it around several times. 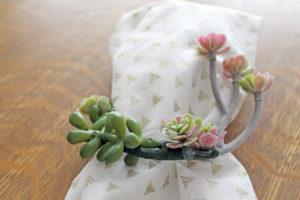 Next, wrap the wire with the floral tape. 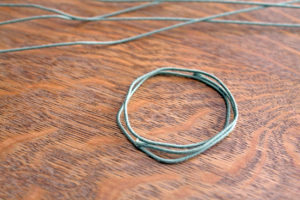 Just keep wrapping it around the entire circle of wire until it is completely covered in tape. 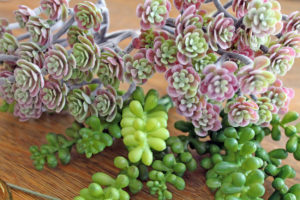 Then cut off a short stem of the succulent you are attaching to it. 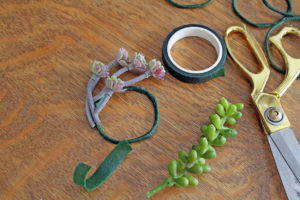 Wrap floral tape around it several times to secure it to the wire. 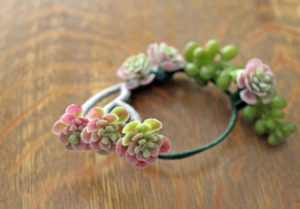 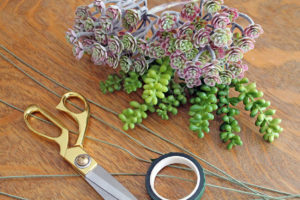 Cut off another stem of a succulent and attach it to the wire in the same manner. 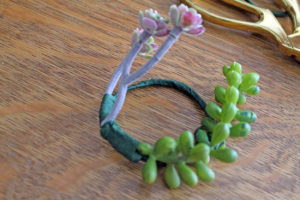 Then I cut off a few of the flower buds and glued them on top of the tape using a hot glue gun. 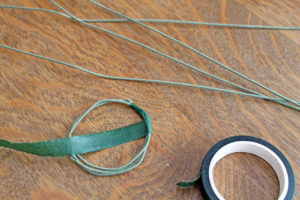 This hides some of the green tape where it was wrapped several times around the wire. 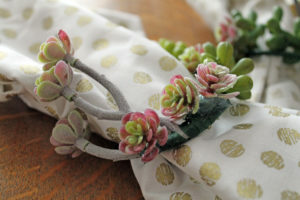 Then place your cloth napkin inside the napkin ring! 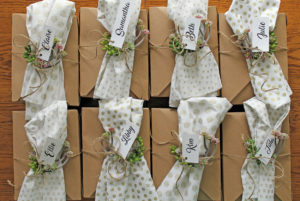 So simple, yet it made a big impact against those brown kraft boxes! 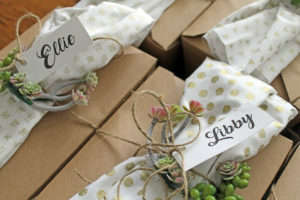 I tied them on top of the boxes with jute string, along with a nametag for each box.